Posted on Tuesday, April 2nd, 2019 at 8:18 am. 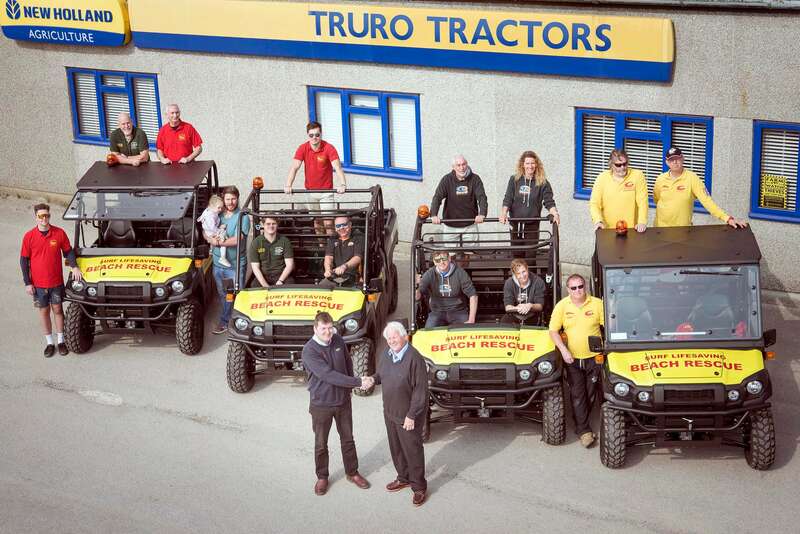 On Saturday 30th March, Surf Lifesaving rescue units in Cornwall from Hayle, Perranporth and Crantock and in Devon at Saunton Sands, each took delivery from Truro Tractors of new, Kawasaki 4×4 ATV’s which will be used to launch and recover inshore rescue lifeboats. Funding for the vehicles was the outcome of applications made to the Department for Transport Inland and Inshore Rescue Boat Fund by Surf Life Saving GB.